Have you been considering moving your family to a larger home in Seattle or the surrounding area? Is this housing market which has seen pronounced increases in the luxury, larger home space preventing you from doing so? Would you like more space for your family, but you love the house and property you have now? At Kunkel Moving and Raising we have a unique and creative solution for you. Instead of moving – extend your house in Seattle! 1. If you have a smaller plot you wont lose any yard space this way. 2. You do not have to remove the roof as you would if you were to extend your house in Seattle from the top. 3. If your existing home has aged since it was built, you wont have to worry about stressing the existing structure by placing an additional story on top of it. 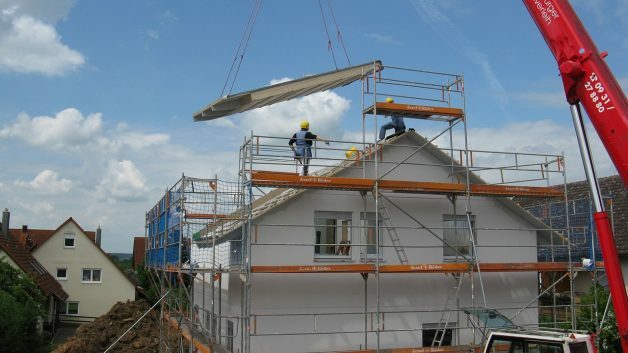 By lifting the existing structure, you can place a strong, new structure on the foundation. This advice applies to you particularly if you choose the excellent option of lifting your house and building a new story underneath. Make sure you hire a qualified contractor with plenty of experience. Make sure they have plenty of successful projects to show. Lifting and building under is a fantastic option for a family that would like to gain more space in an affordable manner. However, lifting a house is a technically challenging procedure that should only be performed by experienced professionals. Whatever your reason to extend your house in Seattle, Kunkel Moving and Raising has you covered. We have over 105 years of experience lifting houses, and we can devise a customized solution tailored just for you.